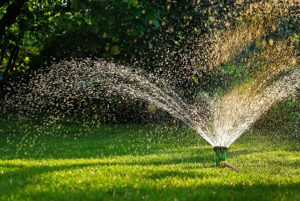 Lawn sprinklers are gaining in popularity because truth be told, nobody wants to spend a beautiful summer day by dragging a hose up and down the yard. They are quite common in residencies that have a large yard or garden, although people with a smaller yard are now inclined to install them, as they can save time and money in the long run. A sprinkler system installed on your lawn can be powered by a controller and a timer and you can set up an automatic watering schedule, provided that your system is advanced enough to be programmed to do so. As we’ve mentioned in the introduction, people opt for watering systems for two main reasons. The first said the reason is time. The old-fashioned way of watering your lawn implies your actual presence and the time slot dedicated specifically for this activity. When installing an automated sprinkler system, the sprinkler head will do the job for you and you can spend this time doing something more meaningful. In addition to that, think about your sprinkler system as protection of the investment you’ve made with your yard/garden. Having a fancy landscape surrounding the house isn’t cheap and by making sure that your greens stay healthy, it’s safe to say that your investment is in good hands. 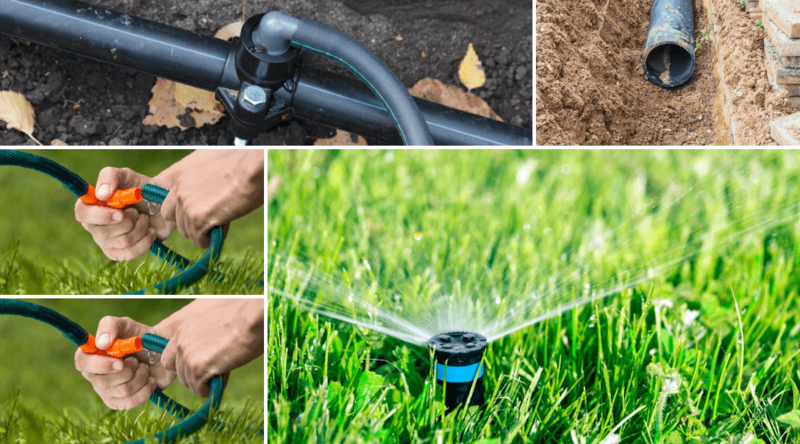 Even if they have quite a number of components, it’s fairly easy to understand how lawn watering systems work. By understanding what each component does, you’ll be putting together the piece of a larger puzzle. Shut-off valves are essential to pretty much every water appliance in your household. It is a means to completely turn off the water supply and it’s very useful in case there are any water leaks (mainly due to a broken pipe). The backflow preventer is a device that keeps contaminants away from potable water, by blocking the water coming from your sprinkler systems to reach the municipal water supply. Yards that have more than one sprinkler installed are divided into sprinkler zones. These zones are measured precisely so that that water coming from two different heads won’t overlap and cause overwatering of certain patches of grass. By diving your yard into zones, it’s easier to configure the overall sprinkle system watering pattern. Even if there are several pipe ramifications that form the complete system, there is a main line that helps supply them. This is buried underground. How deep are sprinkler lines buried, you ask? It depends on the lawn but the standard to aim for is about 6-12 inches. The zone lines are defined by the pipes supply by the main line. These pipes will draw water from the source into each specific sprinkler zone. Ever sprinkler zone has a valve that controls the water in that area. Just as you can turn off the main valve that supplies the main pipe, you can also turn off valves individually, in case there is leakage in a specific area. Sprinkler heads, which are often referred to as spigots, are those tiny devices that pop out of the ground and spray water on your lawn. The controller lies at the core of a sprinkler system. It’s how you command each sprinkler zone. The more advanced the system is, the more things you can tell your controller to do: like program the sprinkler to start watering every day, at a given hour. By putting all the aforementioned components together, here is how a lawn watering system works. Water comes to your home via the main supply pipe. 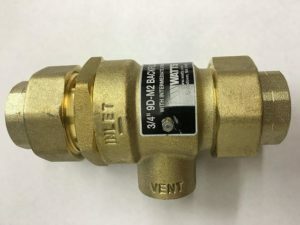 The shut-off valve is placed right at the beginning of this connection and you have to shut it down before you begin connecting the pipes required by a sprinkler system. Moving past the shut-off valve, you can find the backflow preventer. Then, you have the individual valves for every sprinkler area. These valves retain the flow of water until an electrical current opens them. This electrical current is given by the controller, which is the brains of the entire operation. Once that flow of water is released into a specific area, all the sprinkler heads in that area will start watering your lawn. If you aren’t a DIY person, it’s best to leave the installation of sprinkler systems in the hands of a professional. That’s because the whole process involves working around the current water supply line of your home and, should anything get damaged, it could be more expensive to fix rather than having hired a professional in the first place. Even more, there’s always the chance that, when digging trenches for the new piper, you accidentally hit a gas pipe or a cable and cause an even bigger mess. Professionals that deal with such matters generally use a trenching machine, which makes the ditch digging process a whole lot easier. 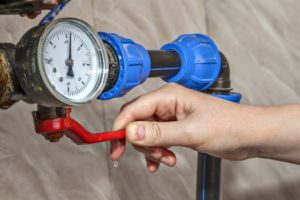 They will make a connection between the pipes that are going to be attached to the sprinkler head and your home’s main water line. Then, he will add all the elements we’ve spoken about before: the backflow preventer, individual valves for individual zones, sprinkler heads, piper and so on. After having installed the controller, the final step is to flush the system and fill the trenches, and your system should be ready for testing! Sprinkler systems are no longer about pretentious home-improvement: they are the ideal mean of taking care of your lawn. By installing even the simplest of systems, you can finally take that year-long vacation in the middle of July, without having to leave the keys to your neighbor to ask them to water your petunias. Just schedule the desired watering hours into your controller and drive off!